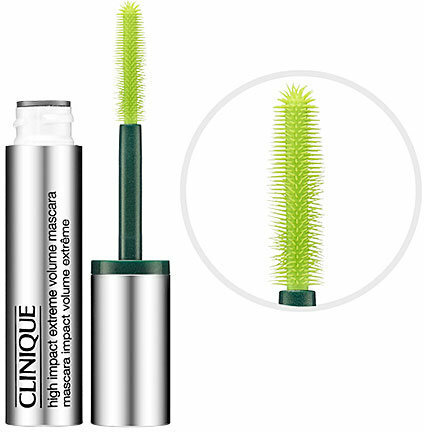 This is a brand new mascara from clinique designed to serve the purpose of building volume and thickness to the lashes. The wand is designed in such a way that it builds volume straight from the roots and combs the lashes away. Further, the dome tip helps get into the tiniest of lashes thus building optimum volume possible. With every stroke, the over-the-top brush wraps lashes in instant, jaw-dropping drama. This larger-than-life formula is also safe for sensitive eyes and contact lens wearers. Ophthalmologist tested, too. Do not pump brush in container - this adds air that can dry out the mascara.